On March 17, 2018 in the Atlantic, a fighter jet landed onto the Nimitz-class aircraft carrier USS Abraham Lincoln. The only difference this time was that the pilot was Finnish, not American. Capt. Juha “Stallion” Jarvinen’s landing was the first landing on an aircraft carrier by a Finnish air force pilot in history, according to the U.S. Navy. 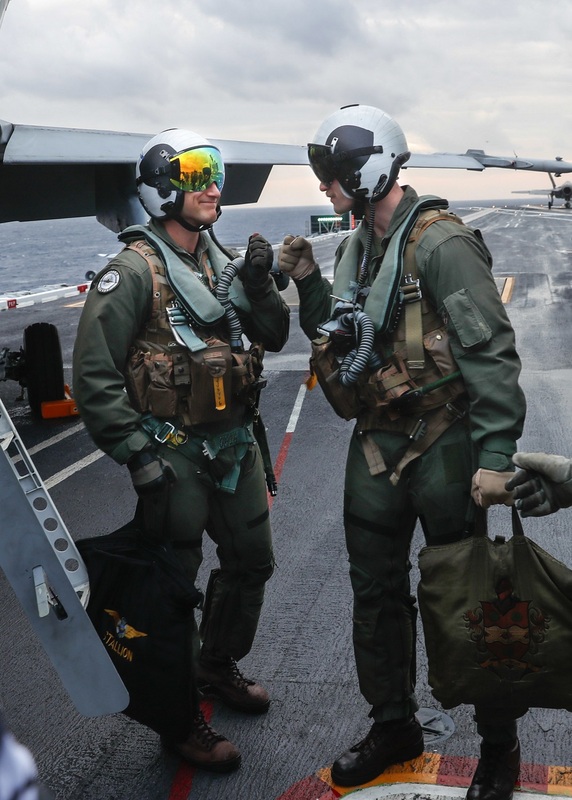 Jarvinen was flying a U.S. Marine F/A-18C Hornet with Marine Fighter Attack Training Squadron 101 as part of a pilot exchange program — also a first between the U.S. Marines and the Finnish air force. Nimitz-class aircraft carriers — with two exceptions, the Ronald Reagan and George H.W. Bush — have four arresting wires, or cables. Catching the third cable is safest, but the snagging the second one isn’t bad. The landing is interesting because Finland, like neighboring Sweden, is an officially neutral country and is not part of NATO, and the country during most of the post-war era navigated a fine line between East and West. That is still true, mostly. “At the moment, to have Finland and Sweden forming this militarily non-aligned zone, I think that increases the security and stability in the Baltic Sea region … I see no reason to change this,” Finland’s center-right Prime Minister Juha Sipila told Reuters in December 2017. However, in recent years Finland’s military has participated in more joint military exercises with NATO countries — the first pilot exchange program with the U.S. Marines being a case in point. Finland is making plans for a large-scale joint exercise in Finnish territory with Sweden and the United States as early as 2020. The model is the Aurora 17 exercises in September 2017 — one of Sweden’s biggest military drills in decades, and included troops from 10 countries including the United States and Finland. These events are on top of NATO exercises in the Baltic states, and a new U.S. Marine rotation in Norway and the basing of Swedish troops to the island of Gotland. “The need for similar kinds of exercises in Finland is obvious, especially when you consider that new legislation came into effect last summer on the obligation of the Finnish Defence Forces to receive and provide international assistance. Finland should have opportunities to practice receipt of this international assistance,” Finnish Defense Minister Jussi Niinistö said. Finnish pilots won’t be landing on aircraft carriers of their own anytime soon — or ever. The Finnish navy has no need for carriers, and its reason for existence is primarily coastal defense provided by a small fleet of minelaying and fast-attack craft. The most important Finnish naval project at the moment is the Squadron 2020 project, which aims to build four corvettes armed with U.S.-made RIM-162 Evolved SeaSparrow anti-aircraft missiles, anti-ship missiles, torpedoes and mines. The Finnish navy is small — some 3,500 sailors in total, 1,900 of them conscripts. Neutral Finland’s primary threat comes from Russia, and secondarily from Western countries that could occupy it to fight Russia, making the army the primary means of territorial defense. The Finnish air force operates some 62 Hornets, 62 F/A-18Cs and seven F/A-18Ds — the latter a two-seat variant — for a total of three squadrons. That is the same type of fighter Jarvinen flew when he touched down onto the Abraham Lincoln. Finland is in the early stages of shopping around for a replacement fighter, which could be new F/A-18E/F Super Hornets, F-35 Joint Strike Fighters or F-16s. Or Finland could buy European Gripens, Rafales or Typhoons. Causing confusion, U.S. Pres. Donald Trump incorrectly claimed that Finland was buying Super Hornets during an August 2017 press conference with Finnish Pres. Sauli Niinistö. Zooming out, the carrier landing is a small event. But it is noteworthy given the larger context of Finland partnering more with the NATO countries — a development which Russia is surely observing. 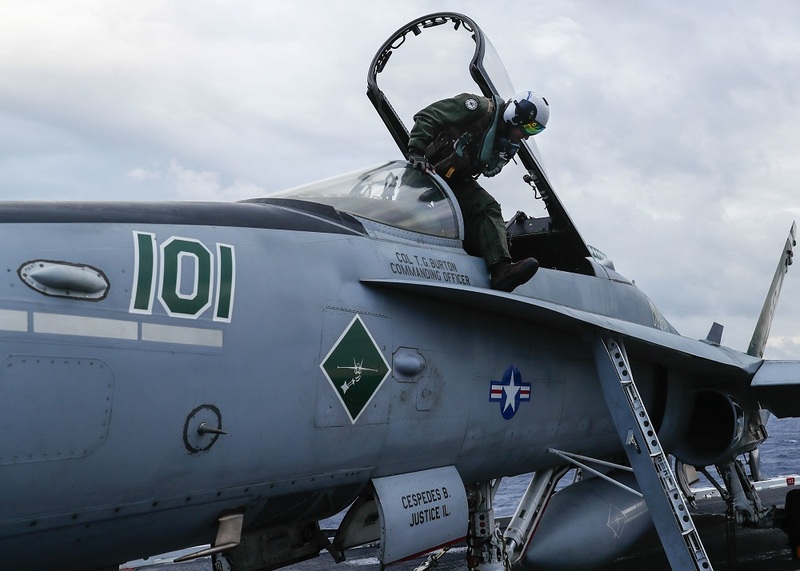 Jarvinen told the U.S. Navy news service that he is bringing his carrier-landing experience back with him to Finland, where he will become a pilot instructor.